Simply sign in to our website create your own private account, save your searches, create custom searches. Your information will not be shared. If you have any questions on any of the homes you have viewed or would like a showing, please email or call us, it that simple. 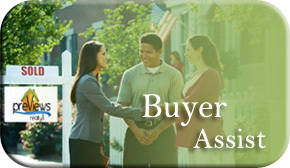 We have Contractors, Certified Appraisers, and Staff to help you with all your real estate needs. with over 25 years of real estate sales and state certified appraisal experience. Real Estate Experts in our area and extremely familiar with all types of real estate available. Protecting your privacy is important to us. Previews Realty Inc. collects, uses and safeguards the personal information you provide to us on our site. Previews Realty Inc. is the sole owner of information collected on this site. We will not sell, share, or rent this information to others ever.